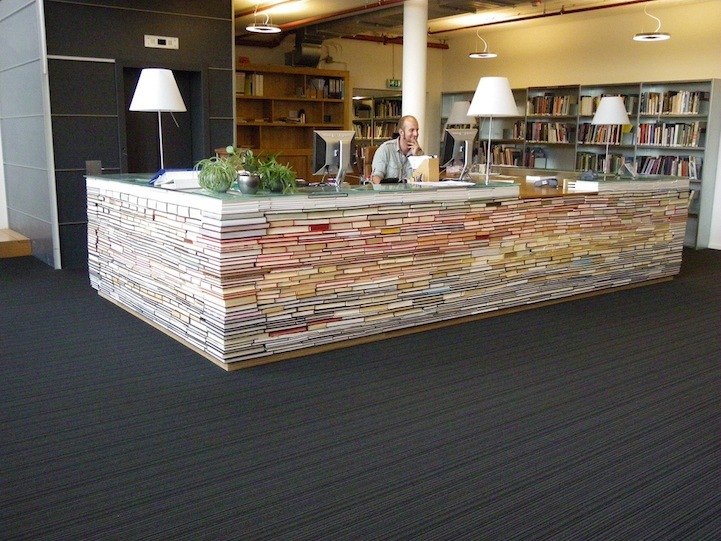 A library in the Netherlands has given a whole new meaning to the concept of recycling paper. When a fire destroyed part of the library at the Delft University of Technology, the school replaced the library’s entire collection. Unwilling to part with those old volumes that were left behind but undamaged by the flames, the library built this massive desk, which is sure to be the envy of book lovers everywhere and guaranteed to stymie even the most skilled of Jenga players. Let’s just hope no one ever requests one of the books on the bottom.